The seasons are changing and on the one side of the world summer is coming and on the other fashionistas are preparing for chilly winter days indoors. 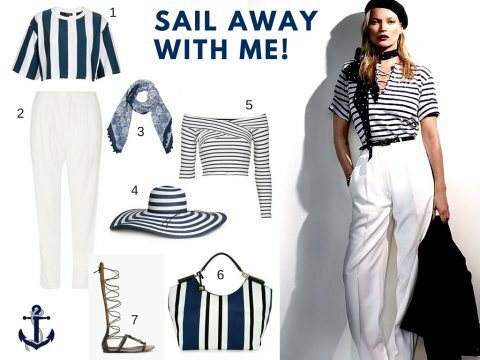 For those enjoying the most beautiful season of Summer, LUXO put together a luxurious sailor inspired look - perfect for sundowners on a yacht! These items are versatile and you can combine it various ways to compliment your closet. The biggest tip I can give anyone who loves fashion is to learn how to combine high-end fashion pieces with affordable chain store items - there is no need for your entire look to be brand names! If you can pair expensive and affordable to create a great look, you have succeed in the eye of a good stylist!